As we are all set to welcome the New Year, it is also the time to reset your fitness goals for 2018. A New Year is a great time to take fitness resolutions that will keep you fighting fit through the year. And that is a great way to start the year on a positive note. 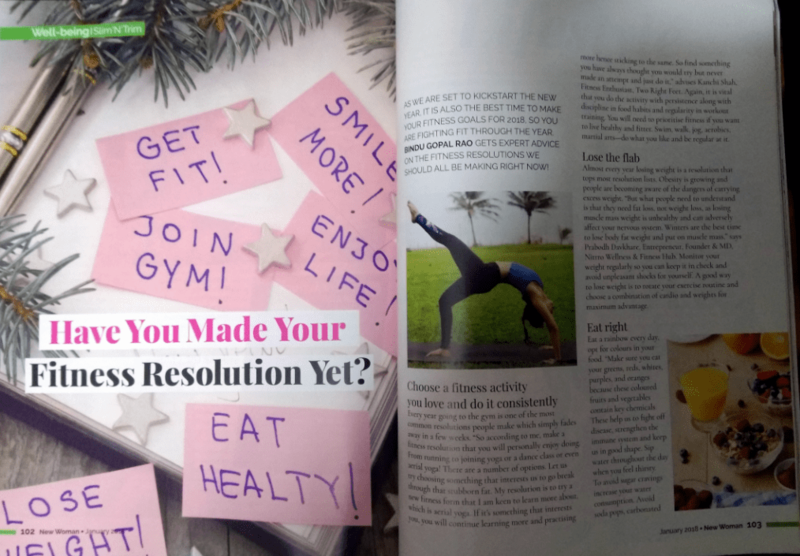 We speak to experts to help you make the right resolutions this New Year. Every year going to the gym is one of the most common resolutions people make and it just fades away in a few weeks. “So according to me, make a fitness resolution that you will personally enjoy doing. From running to joining yoga or a dance class or even aerial yoga! There are a number of options. Let us try choosing something that interests us to go break through that stubborn fat. My resolution is to try a new fitness form that I am keen on to learn more about, which is aerial yoga. If it’s something that interests you, you will continue learning more and practicing more hence sticking to the same. 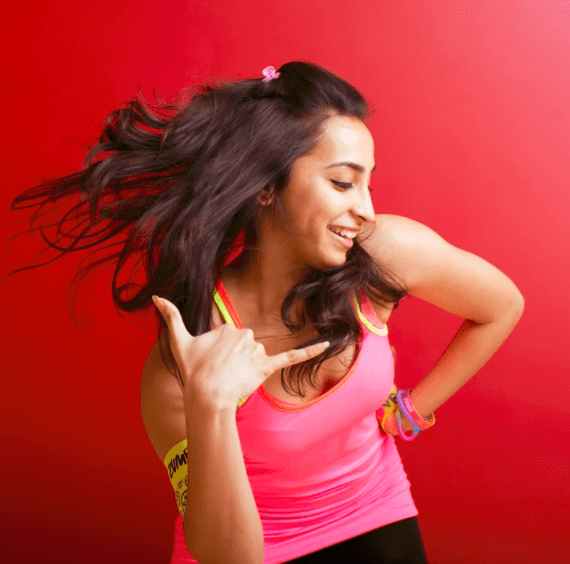 So find something you have always thought you would try but never made an attempt and just do it,” advices Kanchi Shah, fitness enthusiast, Two Right Feet. Again it is vital that you do the activity with persistence along with discipline in food habits and regularity in workout training. You will need to prioritize fitness if you want to live healthy and fitter. Swim, walk, jog, aerobics, martial arts – do what you like and regularly. Every year losing weight is a resolution tops the chart of your resolution list. Obesity is growing and people are becoming aware of the danger of excess weight. “But what people need to understand is that they need fat loss not weight loss as losing muscle mass weight is unhealthy and can adversely affect your nervous system. Winters are the best time to lose body fat weight and put on muscle mass,” says Prabodh Davkhare, Entrepreneur, Founder & MD, Nitrro Wellness & Fitness Hub. Monitor your weight regularly so you can keep it in check and avoid unpleasant shocks for yourself. A good way to lose weight is to rotate your exercise routine and choose a combination of cardio and weights for maximum advantage. A workout buddy or partner ensures you work out regularly and more intensely. It also leads to faster gains. “Arnold Schwarzenegger used to always workout with Franco Columbo. Working out with a partner who shares the same fitness aspiration and goals can help to push each other to newer limits. In fact, even couples who have been working out together have confessed it has only made their bond stronger and have become closer to each other and understand newer things about each other. So resolve to go with a partner. It helps in keeping your fitness resolution,” says Davkhare. Also make sure you choose a buddy who will keep you motivated to stay fit and ensure that this is a mutually beneficial association. “Ensure that your waist is less than 35 inches for men and less than 31 inches for women. Belly fat, also known as visceral fat can result in diabetes and cancer and by far is one of the best markers for chronic disease. Second, reduce your triglycerides to below 100 mg/dl. Triglycerides are just the fancy name for body fat, the kind of stuff you do not want in your body. Third, reduce your blood pressure to 110/70. High blood pressure creates stress on your cardiovascular system and results in hardening of your arteries. Both put you at grave risk of heart ailments. Forth, reduce your morning fasting sugar to below 100 mg/dl which will also reduce your long-term sugar levels (HBA1c) to below 5.7 %. A high sugar level is an indicator of progressively moving toward becoming diabetic. Diabetes is quickly becoming one of the most significant causes of death world over. It strikes without warning which is why it is known as a silent killer. Diabetes can lead to a host of other diseases including damage to your liver, pancreas, kidney, heart, and brain. Finally, lower your C-Reactive Protein to below 1 mg/dl. C-Reactive Protein is a measure of the inflammation of your body. Inflammation results in a host of diseases ranging from bronchial asthma to cancer,” says Ritesh Bawri, Entrepreneur turned Nutritionist / Health Enthusiast.